The full report is available from a link at the bottom of this 91outcomes’ front page. New VA officials in the Obama Administration should familiarize themselves with this report. 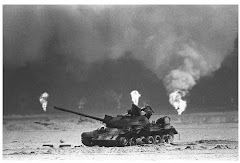 Gulf War veterans have been intimately familiar with it since it was released in 1994, and recognize that their experience has been part of a long history of similar experiences that have continued through to the present time. Benzene-laden drinking water that still flows into homes at Camp Lejeune, N.C., burn pits that are still being used in Iraq (and probably Afghanistan), and hazardous chemical plant exposures at Qarmat Ali are among just a few of the unaddressed hazardous military exposures of the present era. 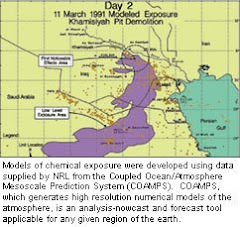 participated in such research while they were serving in the U.S.
to provide information for future deliberations by the Congress. the members of the Committee on Veterans’ Affairs. report, and the keen intelligence, energy, and commitment of Dr.
Diana Zuckerman, who directed this effort. Thanks so much for including this report, which I wrote for the Senate Veterans Affairs Committee. But, I couldn't find a link to the full report. I'd welcome comments on the report. Thank you so much for your work on this historic report, which was an exceptional, seminal work on Gulf War and other veterans' health issues and still rings true today. You were exactly right, it was not yet linked, but it is now, as the first (last) link at the bottom of 91outcomes' front page. Again, thank you for all your work. Please feel free to share any other documents for the public archives, or your comments. Would you consent to an interview for this website?